A polyurethane based adhesive sealant ideal for adhering cement-based building materials. 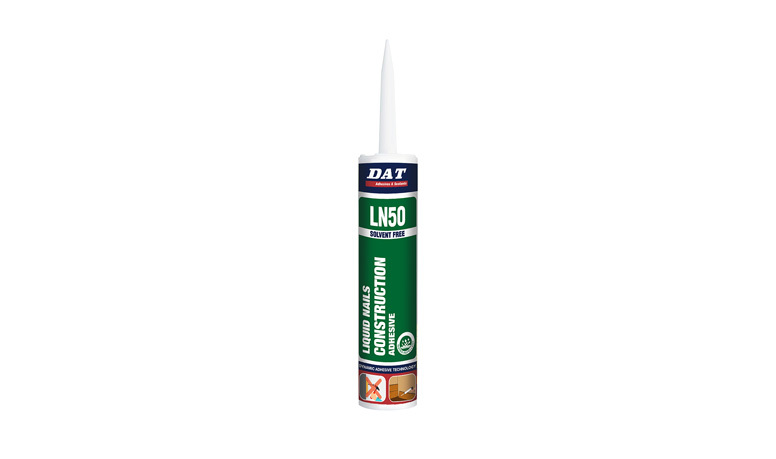 DAT PU Adhesive Sealant PU40 is a one-component polyurethane-based sealant adhesive with moisture curing and weather resistant properties. 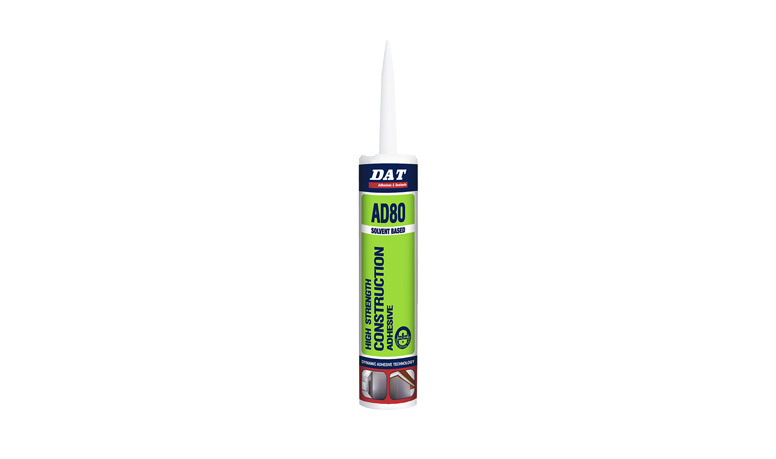 Recommended for use in the construction industry for joint cavities, assembly of aluminum, PVC and wooden framing, in addition to laying of roof tiles. 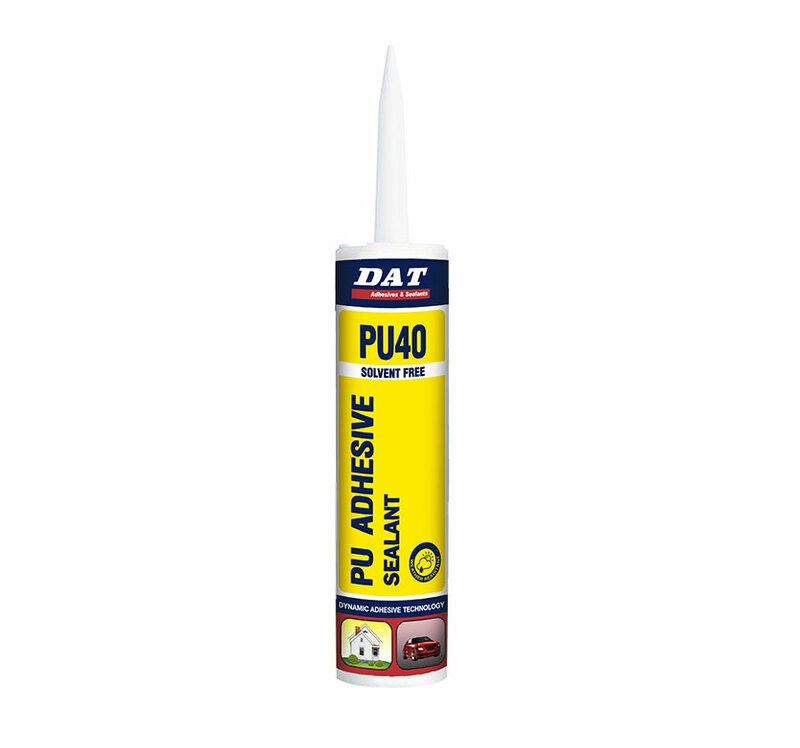 PU40 is paintable, offers permanent elasticity, has no volume change and is easy to apply with a caulking gun. Cut off the tip of the cartridge nozzle to the required angle and bead size. 2. Pierce the membrane to open the seal. 4. Screw the nozzle onto the cartridge and insert into the caulking gun. 5. Ensure surfaces are free from dust, dirt and grease. 6. Apply sealant with a steady pressure. 7.Joints should be assembled without any delay. 8. Wipe away any excess external product with a damp cloth. 9. Cures with the humidity in the air.